Through its own permission database Great Sites, with over 500,000 members we polled the attitude of Australians and New Zealanders towards the Rugby World Cup (RWC), to be held beteween 9 September and 23 October this year. In Australia, 38% thought Australia would win the Rugby World Cup but in New Zealand this number was a massive 68%. Runner up for Australia was New Zealand, but across the Tasman members believed South Africa to be second most likely to win. Both countries support their national teams and support was around the 85% mark. More people in Australia supported New Zealand than vice versa, these could be New Zealanders living in Australia. Around 10% of our NZ members responded that they would attend any of the RWC games, whereas in Australia this was less than 1%. 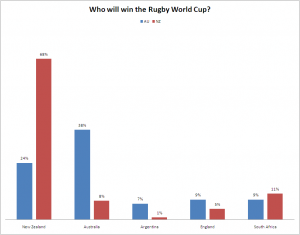 Majority of people (AU: 43%, NZ: 65%) will follow the event on TV. The newspaper was the next most popular medium, followed by online and radio. When we asked if there should be a limit about players from one country playing for another nation, attitudes were similar: The majority (55%) believes people should only play for their own country, with only around 20% thinking players should be allowed to switch teams. Fieldwork was conducted between 1 – 7 July, sample size for Australia was n=665 and for New Zealand n=511. Contact us today to ask about online data collection in Australia and New Zealand. 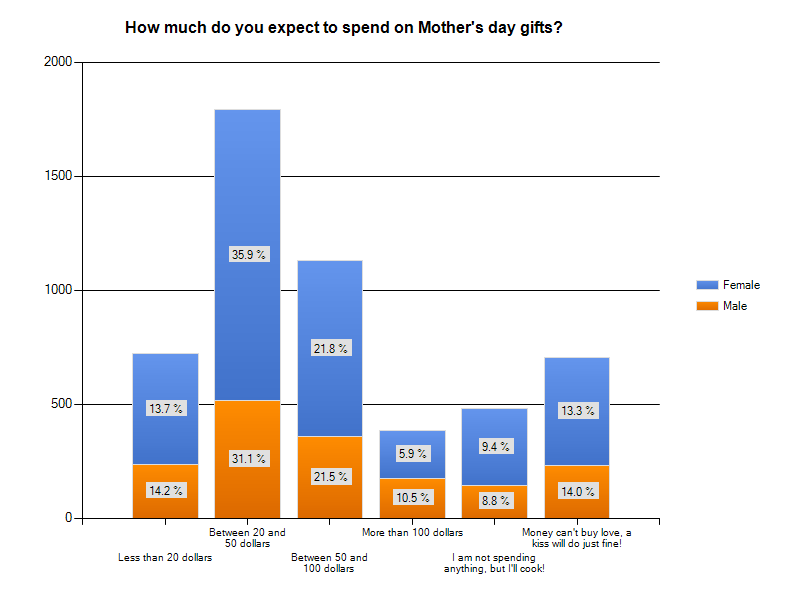 Totals do not add up to 100% because only top 5 choices are shown in graph. 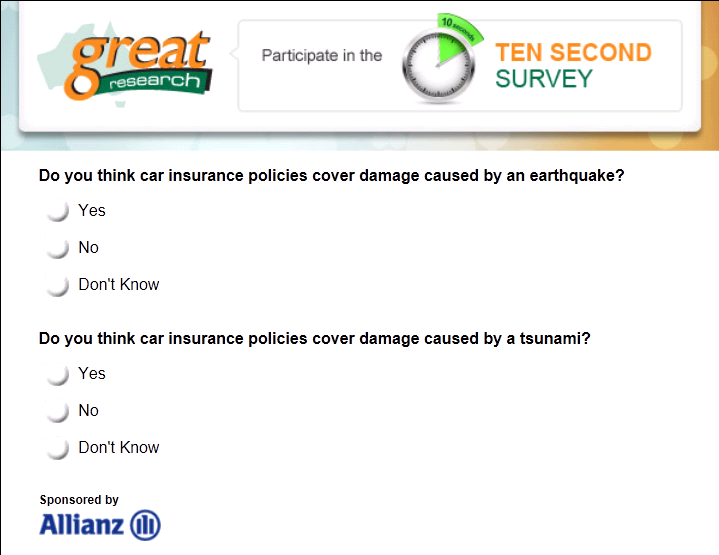 Contact Great Research today to ask about our polling product Ten Second Survey. 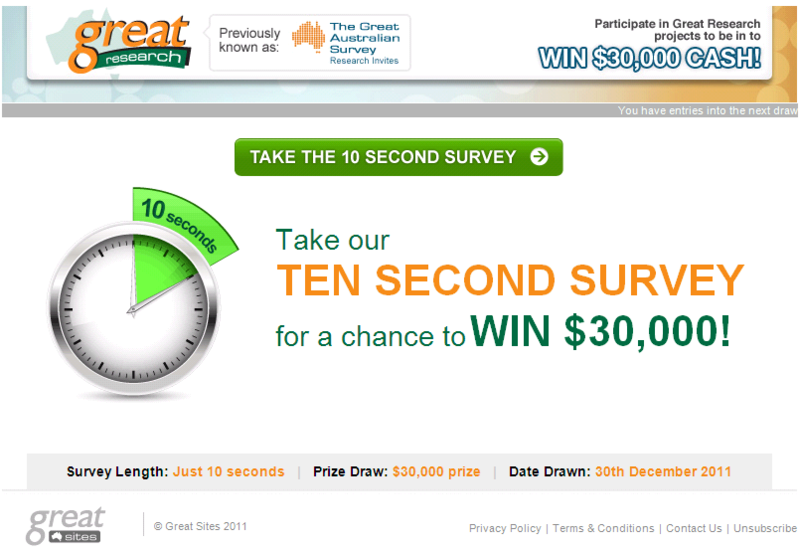 This month Great Sites via its research offering Great Research launched a new weekly survey the “Ten Second Survey“. The survey asks members of the popular portal short topical or interesting questions resulting in one off polls and surveys, which are then published on the site and via social media channels. This activity is part of Great Sites ongoing mission to engage with its members in fun and rewarding ways. 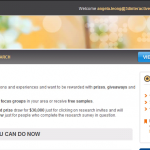 Thousands of members have already taken part in these surveys and polls and are rewarded with extra chances to win Great Sites grand prize of $30,000 and additional monthly prizes. 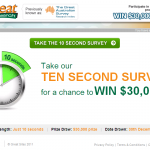 The Ten Second Survey can be utilised by advertisers in a range of innovative ways to meet various marketing objectives. The only rule is that members should be able to read and answer the question(s) in around ten seconds. 1) Poll Campaigns Members are invited to answer a short Great Research poll on a question relevant to the advertisers products or services, the advertiser then sends their solus EDM campaign to the respondents that answered in a certain way. Pricing is typically at a premium CPM rate for each pre-qualified member targeted by the main EDM. 3) Link Bait Content Generation In the world of SEO (search engine optimisation) links are highly prized as they increase an advertisers sites search engine rankings for desirable keywords. One popular method for generating links is to product interesting and topical articles and blog posts that other sites and blog link to. This viral form of marketing is effective but requires great content. 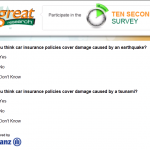 The Ten Second Survey is one way of quickly generating content that can be published and blogged. Results are broken down by key demographic groups offering additional insights and opertunities to generate catchy headlines. Pricing is normally a fixed price (1,000 respondents is recommend). To find out more about these options contact 3di.